When choosing a dive shop, look for personal attention in small classes, high quality instruction, and value not just up front costs. We limit our classes to six students to an instructor and we have taught over 1200 students. Be especially wary of SPECIALS, internet GROUP deals, and COURSE RESCHEDULING AND REFUND policies. Shops still need to cover their expenses and pay their instructors, so look for HIDDEN COSTS and COST CUTTING MEASURES. These include policies such as charging extra for an official PADI dive training logbook or if you want an open water training manual, and making you pay separately for the use of scuba gear, or air tank fills. Our more saavy customers have found out that we are actually a better overall value than other area shops no matter what the deal. 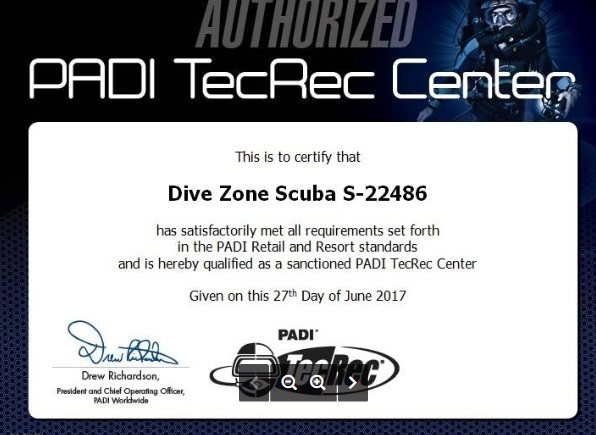 Unlike most other diveshops, we do not force you buy any equipment or lead weight, weight belts, or dive bags to get certified with us and the use of BCDs, regulator sets, tanks, weights, and wetsuits are included for both the pool and open water sessions in the course cost. We use new condition, PROPERLY sized tanks, wetsuits, and BCDs for small children, women, and men up to 4XL. We also offer our students free refresher course tuition, in case you don't dive for a while and are going on a trip. So, make sure you ask about all those things before spending your hard earned money. We hold classes weekly, with even one student, so you can finish in time for any trip you have coming up. In addition to Open Water, we offer PADI Advanced Open Water, Rescue, Divemaster, Assistant Instructor, and many specialty courses including technical diving TEC sidemount, 40, 45, and 50; self-reliant diver, sidemount, enriched air (NITROX), dry suit, full face mask, public safety diver, and lionfish tracker. We offer most scuba gear at INTERNET PRICES from Shearwater, Atomic, XDeep, Tusa, Mares, Bare, Diverite, Zeagle, Scuba Max, Ist, Neosport, XSSCUBA, We also specialize in fitting both stock near, far, and bifocal vision lens, as well as, custom lenses. We do not believe that you can get a better deal anywhere in the Houston area. In fact, many students taking courses at other area dive shops that require equipment puchases come to us. We know you have a choice. We would like to be your favorite local diveshop and we will work hard to earn your business. Welcome to Dive Zone Scuba. We are a Five Star PADI facility, open 7 days a week Mon-Fri 10-6:30 and Sat 12 to 6 and Sun by appointment (call) in Pearland at HW288 and FM518 in the Shadow Creek Ranch Town Center. The shop is next to the Subway on the east side of the Academy Sporting Goods building that faces the HEB. From the north, take the 518 exit. Stay on the feeder and turn right at Memorial Herman and left on Business Center. The shop is on the right. Turn right at the Academy entrance and right again to suite 112. We are now teaching local PADI TEC 40, 45, 50, 65, and trimix diving courses. Ask about our free recreational offshore dive trip program. We are now Houston's only PADI TecRec Technical Diving Center. Starting April 2019, we will also instruct both TEC65 trimix and full trimix courses. 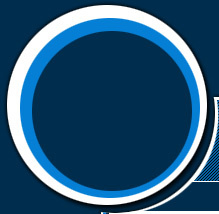 This allows us to instruct the full range of PADI open circuit Technical courses.